Your input makes a difference! Join the community by providing feedback, creating large scale features, or sharing data layers and services. Your contributed data will be added to Esri basemaps, which are freely available to ArcGIS users as part of the ArcGIS Living Atlas of the World. If you see an error in the map, draw a box around it and tell us what is wrong so we can fix it. The Simplest way to tell us about missing features. No login required. 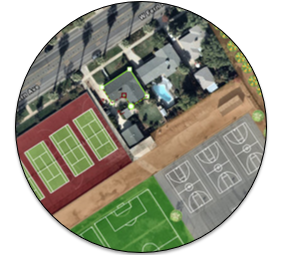 Open the Feedback ArcGIS Online Group, select a basemap, and tell us what needs to change. If you'd like to add detail for a special area of interest, create or edit features that we can add to the map. 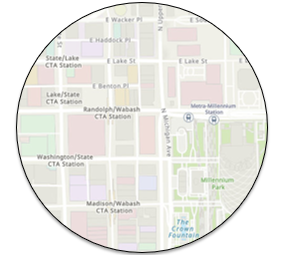 Use the Community Maps Editor to create missing features or correct an error. Requires an ArcGIS Online Organizational Account. 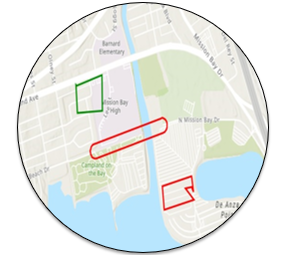 Access the Editor App through an ArcGIS Online group. Sign in with your ArcGIS Online organization account and Join the Group. After you Join the Group, go directly to the Editor App. If you have data that would improve the map, share your data or services so we can add to the map. Your organization can contribute its local, authoritative content through the Community Maps Program, which is a part of the ArcGIS Living Atlas of the World. Requires an ArcGIS Online Organizational Account. Your data is integrated with data from other providers, and published and hosted by Esri as part of ArcGIS Online reference and thematic basemap layers. Register your Community, and once approved, provide your data in the form of zipped layers or services.